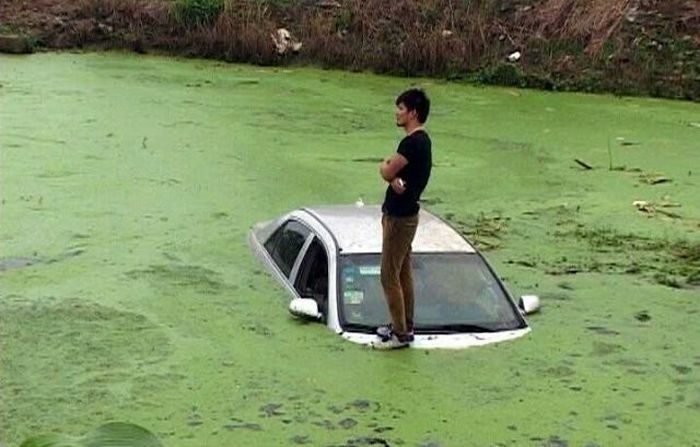 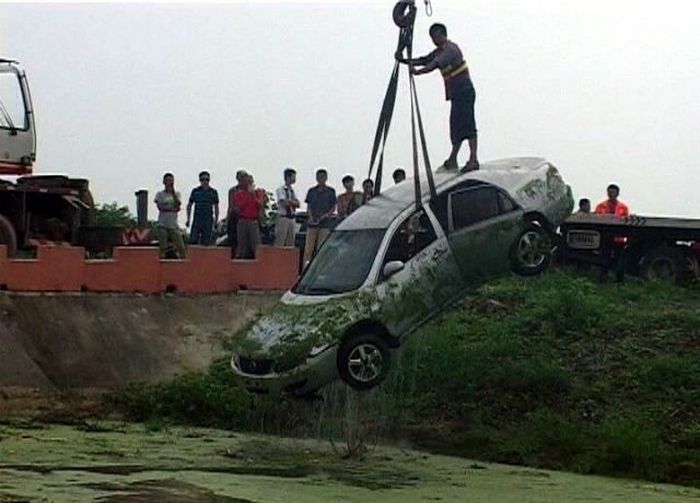 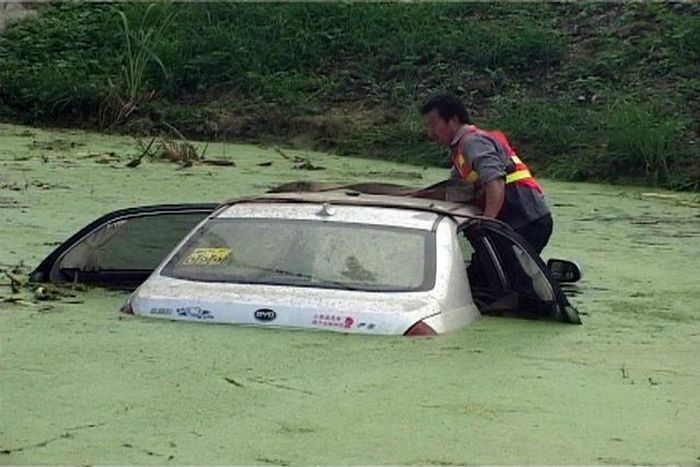 This Chinese man from the city of Nanjing was going way too fast when he lost control of his car and landed in a pond. 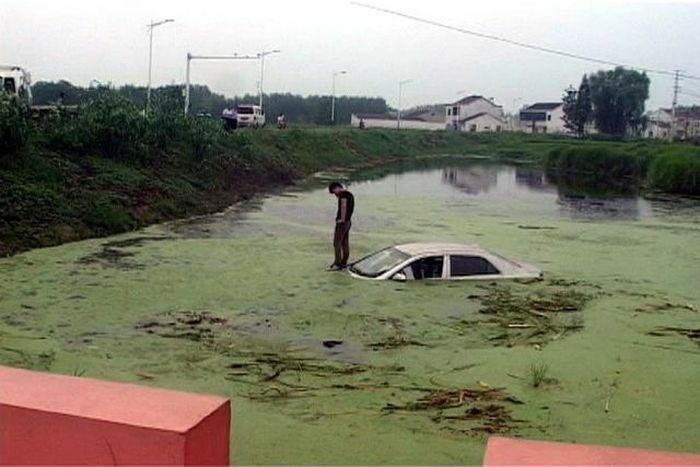 He was rescued and so was the car but he definitely won't go speeding down this street ever again. 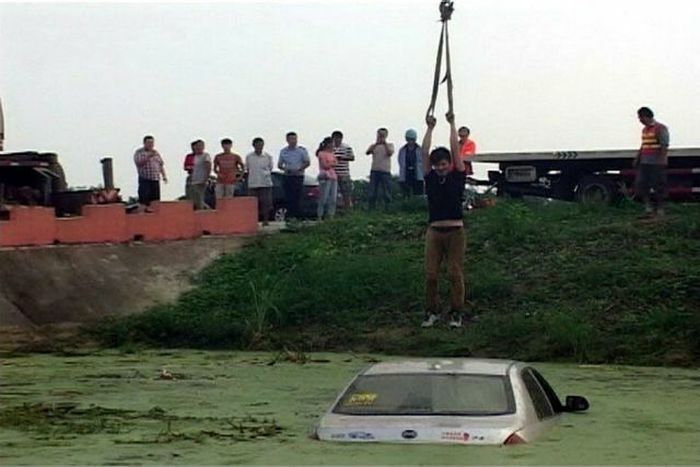 That was just a normal rescue, no biggie.